Marketing director Patryk Grzeszczuk: "We were too far away from the times and the culture that were depicted in the game"
There is an art to failure, 11 bit Studio's marketing director Patryk Grzeszczuk told his audience at Digital Dragons in Krakow earlier this year; it's about knowing how to fail in such a way that, ultimately, you succeed. 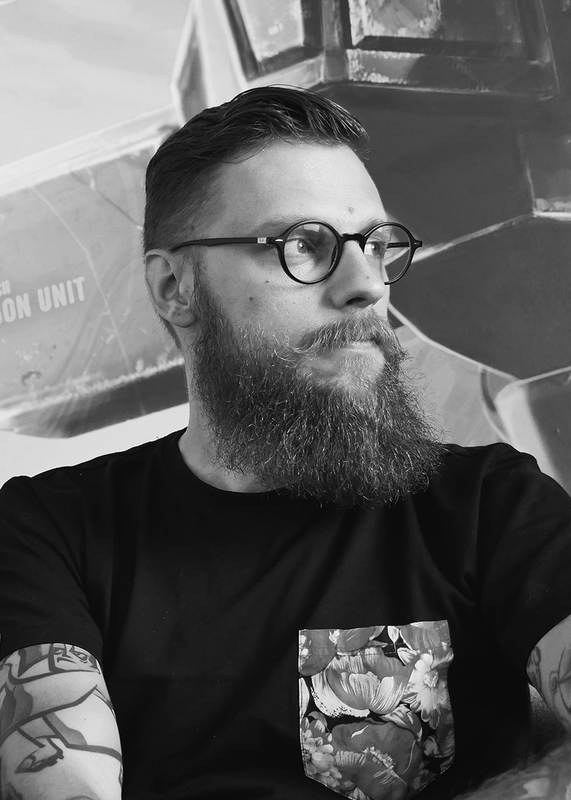 This is what the Polish company learnt with Beat Cop, the first game in its portfolio as a publisher after enjoying critical and commercial success as the developer behind This War of Mine three years prior. As the company expanded into publishing, its missions statement was to explore challenging ideas with promising developers; to provide oxygen and opportunity to even the most unusual ideas. Released in 2017, Beat Cop was not met with intended response, and 11 bit's first bet in publishing went over poorly. Rock Paper Shotgun senior editor John Walker gave the game a critical hammering, pulling apart not just its design failures, but also its regressive attitude and bigoted language. "It indulges itself in swathes of ugly racism, sexism and corruption, but without seeming to understand the reality of the mid-80s era, nor having the guts to embrace it fully," he said in his review. Although not developed by 11 bit Studios, the decision to publish Beat Cop presented a jarring departure from what people had grown to expect from the acclaimed studio. While This War of Mine was lauded by critics for its nuanced exploration of civilian lives destroyed by war, Beat Cop was criticised for being tone-deaf, crude, and lacking in the same artistic intent. The sales of the game reflected this and, as Grzeszczuk told GamesIndustry.biz in a recent interview, it took months to recoup the loss through sustained post-launch support. While Beat Cop lacks the subtlety of This War of Mine or 11 bit Studio's latest release Frostpunk, Grzeszczuk says it was never intended to be offensive, and there was a great deal of discussion internally about the game's content. "The whole process was based on communication with the dev team... If we were not convinced by some of the elements of the game we were talking them over, and every time we had some doubts we were asking if there is a background or what they are aiming for," says Grzeszczuk. "So if they could explain what is the reason for something to exist in the game, we were okay with it because we didn't want to limit them in any way... This is our strategy, something we do as a publisher, and we kept that strategy back then as well." Grzeszczuk says that Beat Cop was intended to be a parody of '80s cop shows like Miami Vice, where casual racism abounds and our heroes live outside the law. However, as Grzeszczuk admits, there is cultural disconnect between developer and audience, and that "mistakes were made along the way." "When it comes to the tonality, I would strongly suggest to take a different approach [next time] obviously"
"Beat Cop tried not to be a social commentary by any means, but a tongue-in-cheek exploration of '80s TV conventions," he says. "The team that is behind the creation of Beat Cop is a small indie team from Poland and basically they are the similar age as I am, so we grew up watching those imported TV shows from the US, and this was our only contact with US culture at the time. "We have the peculiar sentiment for those shows and the way they depicted the US and the culture. That was something we craved and something we were learning language from, and this is how we viewed and how perceived Western culture back then to some degree. "Being teens from Poland, our contact with western culture was somewhat limited. Of course it got better and better in the '90s, but in the '80s that was it... Nothing was meant to be racist or meant to be hostile towards any groups; it was just an attempt at recreating the vibe of that time and that particular part of pop-culture." 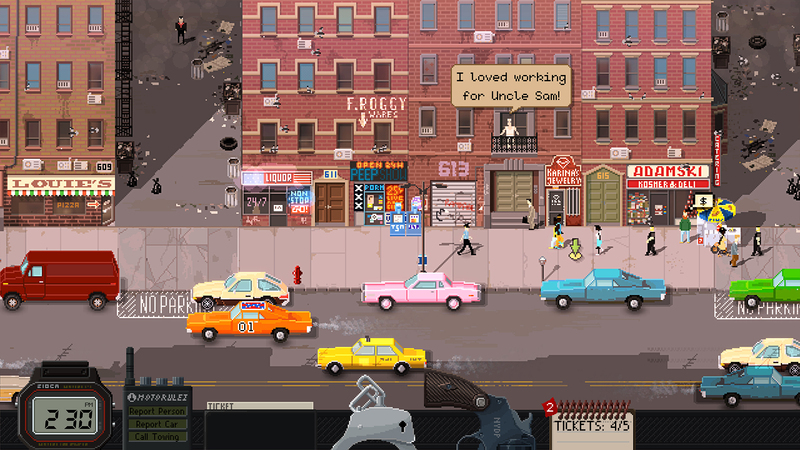 Of course, intention doesn't necessarily manifest reality, and although Beat Cop was not publicly crucified by critics or consumers for its portrayal of unchecked bigotry and police brutality, the clumsy depiction occupied considerable review real estate, featuring heavily in the broader critical discussions around the game. It was, Grzeszczuk says, a misstep on behalf of the 11 bit Studios to publish the game as it was. "If we were to attempt this again right now, it would different on many levels," he says. "I am not saying we're totally unhappy with Beat Cop because we are not. It is not a perfect game, and is far from being perfect, but some things the game introduced were quite well done. "Controversial is good as long as it is grounded in ideas that are true and that are also are not harmful to anyone"
"Of course, when it comes to the tonality, I would strongly suggest to take a different approach [next time] obviously... We are smarter right now, so I think the first thing we would do is cooperate with someone who is much more grounded in that particular theme and culture just to get a proper grasp of how the game should cope with different themes. "[In future] we are going to approach that more consciously, and in a more sensitive manner. We know what we did wrong, and where we made our mistakes, and we know how to approach those things." In the same way that This War of Mine is almost the product of a shared trauma in Polish culture, Beat Cop was born from growing up and viewing Western culture through the lens of '80s cop shows. "When it comes to This War of Mine and Frostpunk we were much closer to the topic and initial idea, so we were much more competent in terms of what we were saying and how we approach the matter," says Grzeszczuk. "Polish society has this long history of being part of various conflicts, so you've got a lot of sources you can use as a part of your research, and we have conducted vast research, formal and informal. You can throw a stone and hit someone who has been touched by war in Poland. You can talk to our parents and grandparents and they are going to tell you some stories.... It is also part of our identity as Poles." Despite all this, it has not dimmed 11 bit Studios' willingness to explore controversy, only its approach. Indeed, Grzeszczuk argues that "controversy creates space for discussion." "Controversial is good as long as it is grounded in ideas that are true and that are also are not harmful to anyone," he says. "We were trying to do that. Unfortunately some people might get offended in the process, and this is something that I personally regret, and because of that in the future we are going to approach that in a better way. "The mistake we made with Beat Cop is that we were too far away from the time and the culture that was depicted in the game."